Breakthroughs in automotive performance are not made by people that simply like cars, they are made by innovators that share a passion for innovative engineering that contribute to performance gains. Sort through a performance-part manufacturers’ catalog, and you’ll find that not many can match the length of experience that dates back as far as Edelbrock’s. The company stems from humble roots with Vic Edelbrock Sr. working in auto repair in the 1930s. 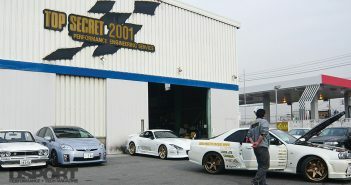 Eventually, the company grew into one of the most highly regarded names in aftermarket performance. Vic Edlebrock Sr. displayed a mechanical knowledge in his teenage years, but his involvement in performance and racing didn’t come until later on. His work in auto repair in the early 1930s moved him around the Los Angeles area as his business rapidly grew. On the weekends, however, he could be found racing at Muroc Dry Lake. In 1938, Vic bought his first project car, a 1932 Ford Roadster. This vehicle sparked his interest in hot rods and served as the development platform for future Edelbrock product designs. Curious to test the waters in parts performance, Vic co-developed the “Thickstun” intake manifold for Ford flathead motors with Tommy Thickstun. However, this manifold yielded unimpressive results, leading Vic to design an aluminum intake manifold himself that he named the “Slingshot.” This 180-degree manifold for Ford flatheads utilized two Stromberg 97 carburetors, greatly opening up the pathway for air to enter the engine and increase power. A series of very successful high speed runs on the dry lakes of Rosamond turned the heads of the automotive crowd, convincing Vic to start building more manifolds. World War II called for Vic to place his automotive pursuits on hold and put his skills and knowledge into aircraft parts fabrication. During this time, the Office of Defense Transportation banned auto racing, but Vic continued to develop new designs and products behind closed doors. Following the war and the lift of the racing ban, Vic began producing aluminum racing cylinder heads in addition to his lineup of manifolds, quickly gaining notice among the hot rodding community. Overwhelmed with mailed-in requests for his products, he created the company’s first catalog, “Edelbrock Power and Speed Equipment” in 1946. 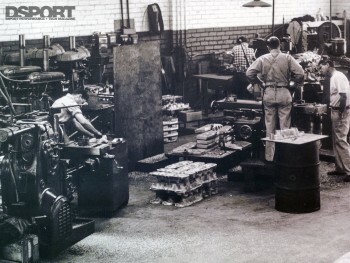 From here, Vic’s repair business evolved into a performance parts manufacturer. 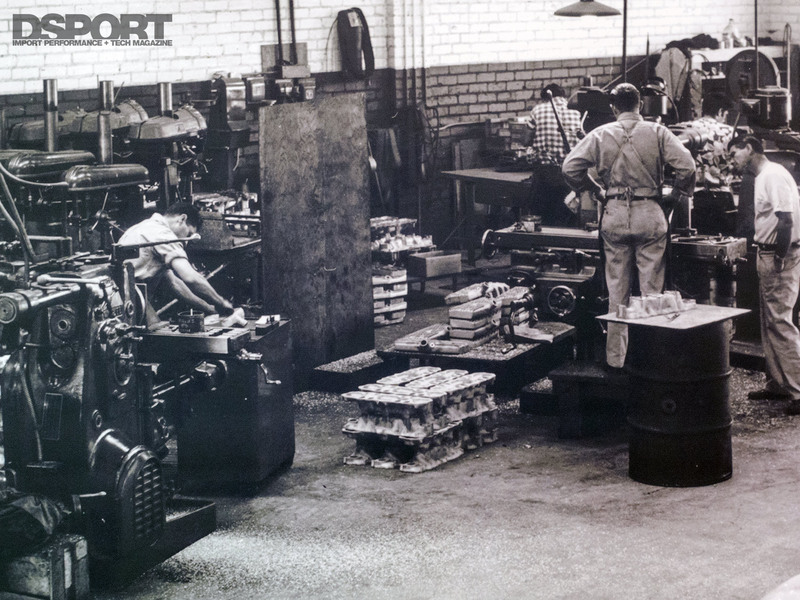 The Edelbrock business rapidly grew as did its armory of tools and equipment. High demand called for Vic to move the business into a 5,000 square foot facility, loaded with a small machine shop, repair bays, a stock room and one of the first engine dynamometers on the market. The 200 HP Clayton dyno, sold to Vic in 1948, enabled him to prove his products on paper as well as at the racetrack. The Edelbrock name spread out to race events like Bonneville, where the first single engine streamliner, the Edelbrock-equipped Bachelor-Xydias So. Cal. Special, sped over 200 mph across the salt flats. In 1955, Vic began testing designs for the Chevy small block engine with great success, achieving the industry’s first one horsepower-per-cubic-inch output. This breakthrough led to further expansion in product design, adding Pontiac and Chrysler engine parts to its catalog. The business was steadily growing, but at the age of 49 in 1962, Vic Edelbrock Sr. passed away after a battle with cancer, leaving Edelbrock Equipment Company to his son, Vic Jr. The Edelbrock brand continued developing and experimenting with new parts and markets with Vic Jr. at the helm. Adding to the manufacturer roster of Chevy, Ford, Pontiac and Chrysler, the company looked overseas for what to develop next. 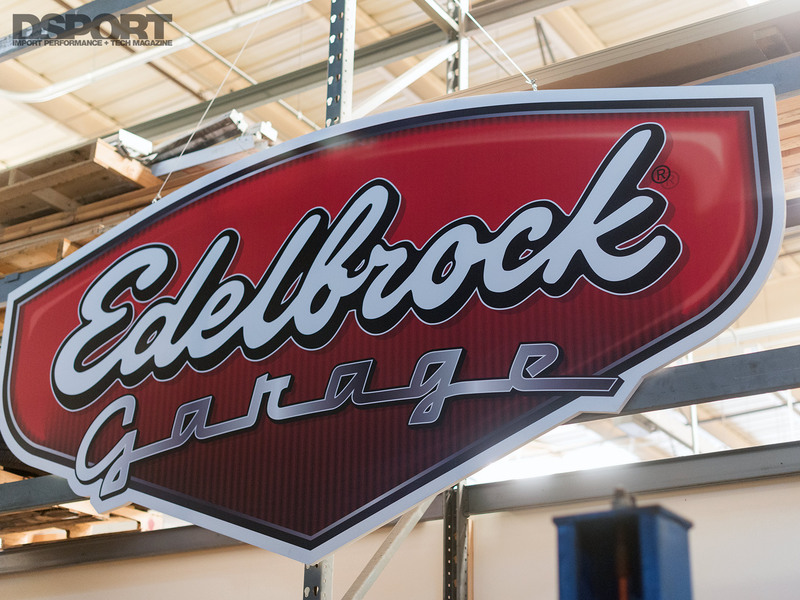 Although the Edelbrock name is largely associated with hot rods and big V8’s, it did manufacture products specifically for the import market. Continuing on with its specialty of intake manifolds, Edelbrock produced multiple product lines for Toyota 20R and 22R motors, as well as Honda B-series and D-series applications. 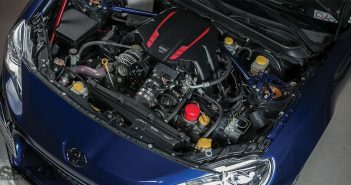 The Honda Performer X and Victor X intake manifolds caught on with both street car and racecar owners, garnering enough popularity to still be available for purchase today. Extending beyond intake manifolds, Edelbrock produced turbo kits that also greatly appealed to the Honda crowd. 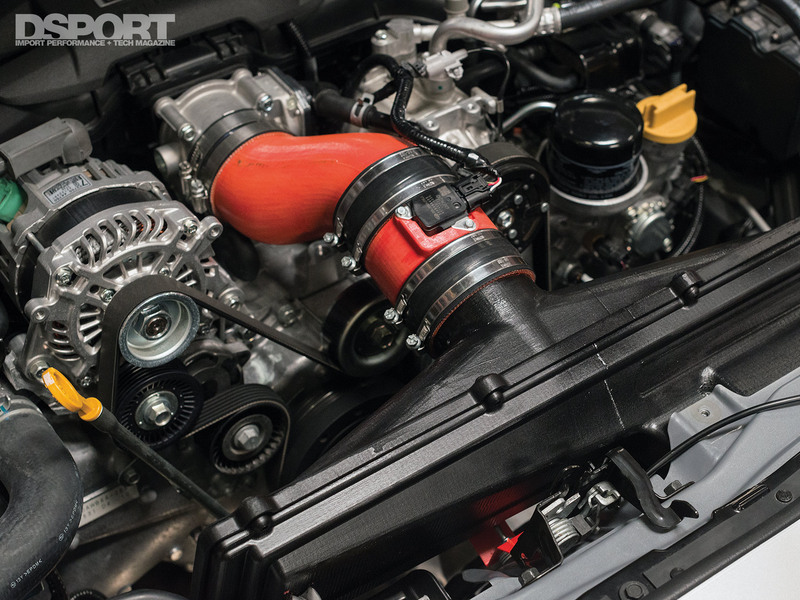 The turbo kits produced an estimated 60 to 70 additional horsepower, utilizing Garrett turbochargers and other accessories, in order to give car owners a quick way to make more power with simple bolt-on parts. 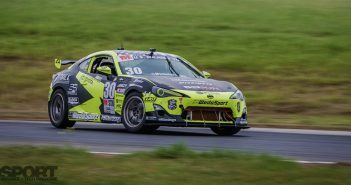 A current lineup of nitrous injection options and an upcoming supercharger for the Scion FR-S show Edelbrock’s interest in keeping its toes in the pool of import cars.